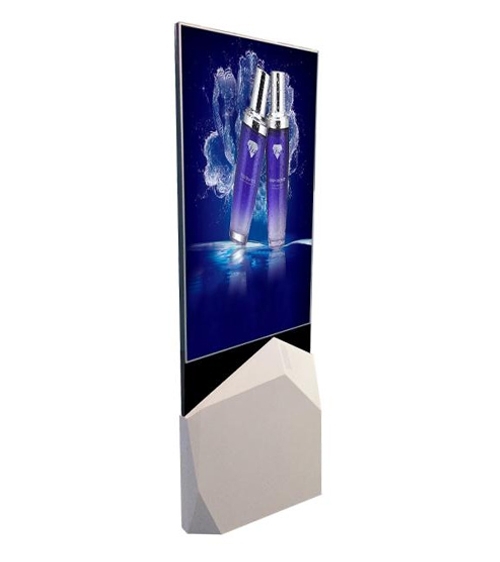 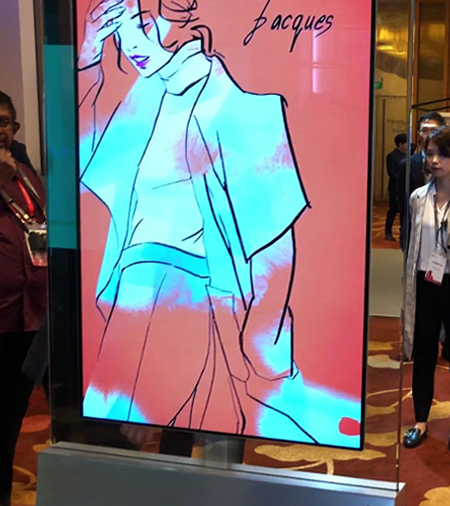 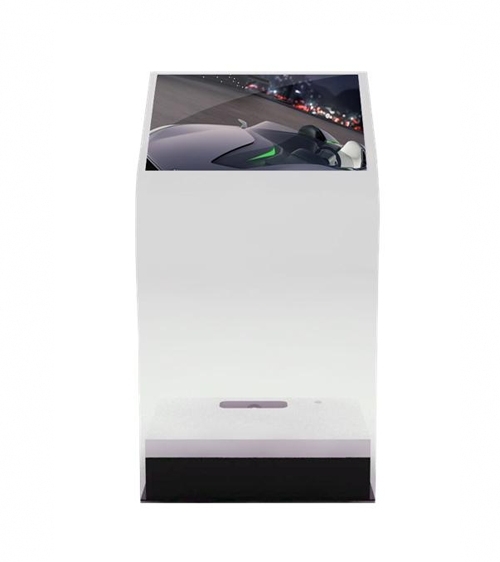 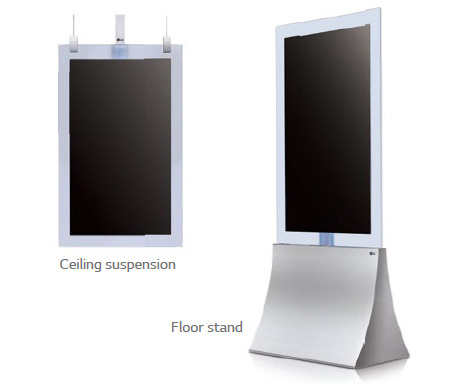 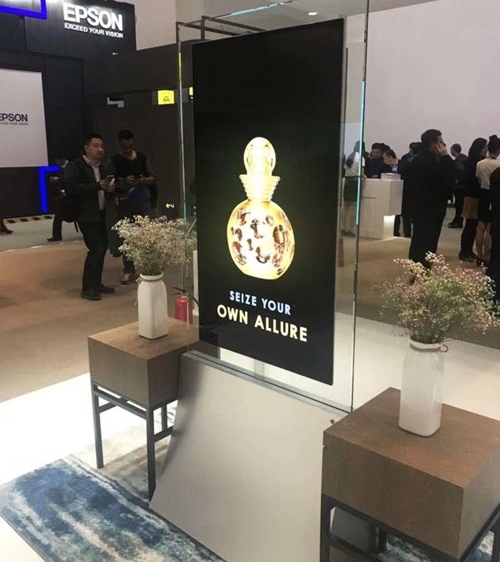 Standing double sided in-glass wallpaper OLED digital signage display. 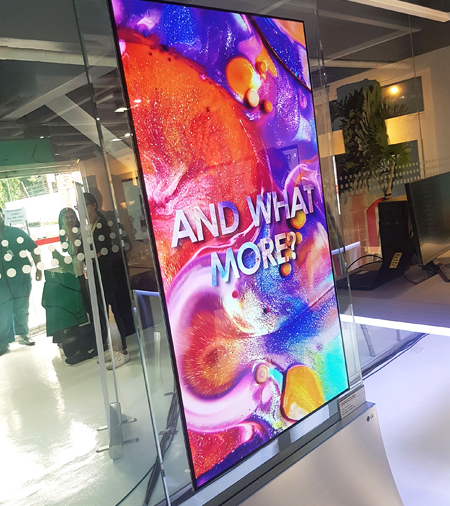 In-glass wallpaper OLED is an innovative display option in which OLED panels are fixed between two layers of tempered glass, one at the front and one at the back. 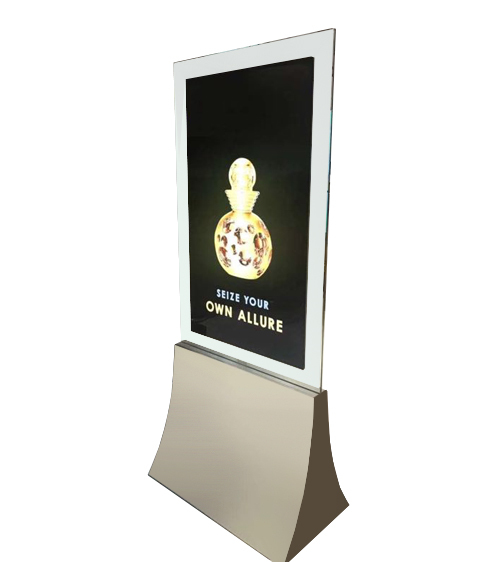 As the surrounding structure is transparent, the display gives the impression that the signage is floating in the air and that the projection is coming directly from the glass pane. 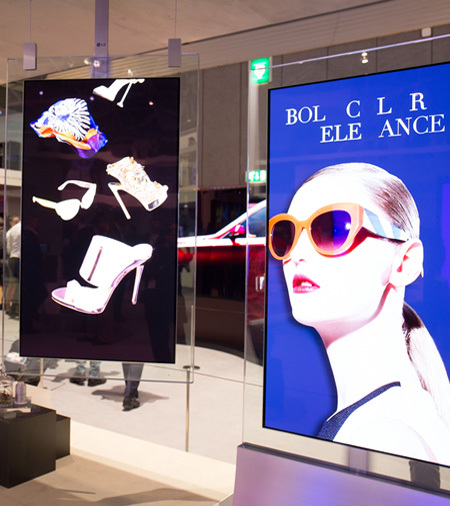 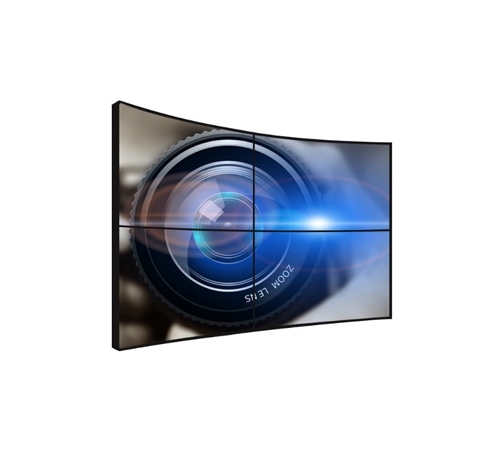 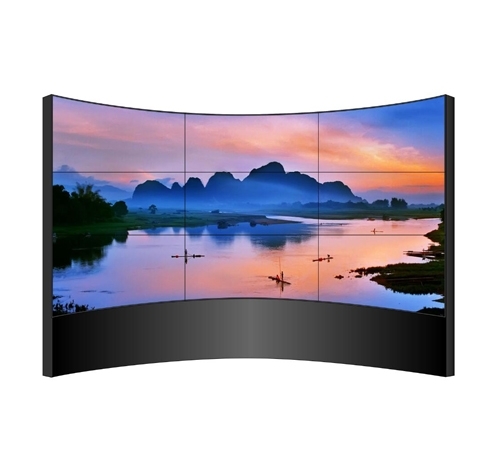 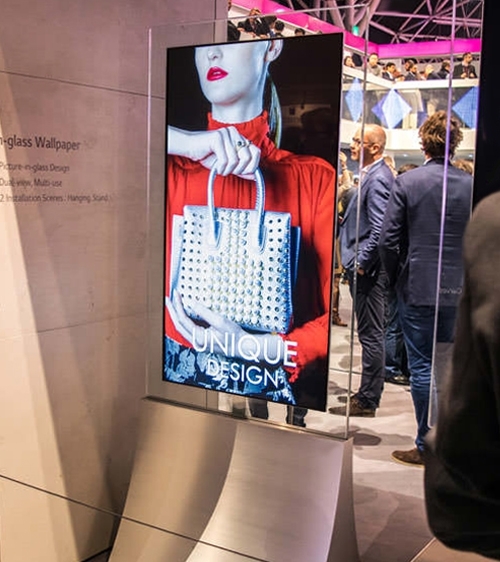 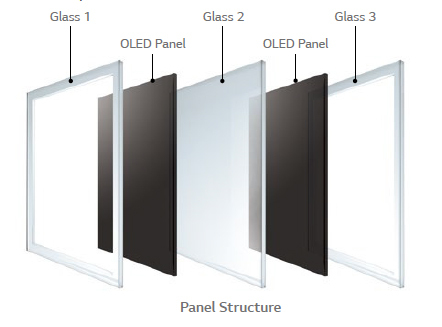 With its slim and sophisticated design and dual display, LG OLED signage is an excellent way to partition space while communicating your message using both sides of the panel. 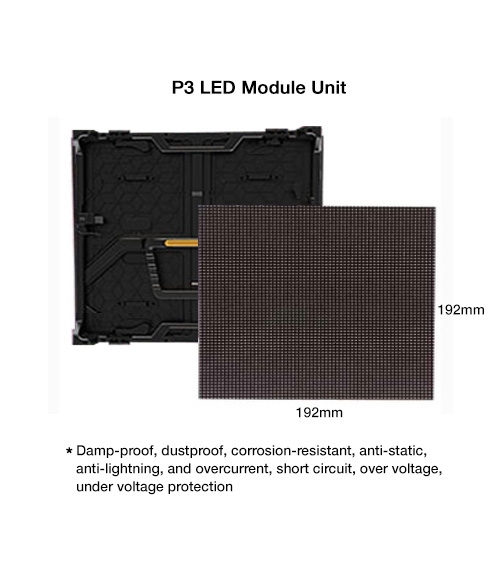 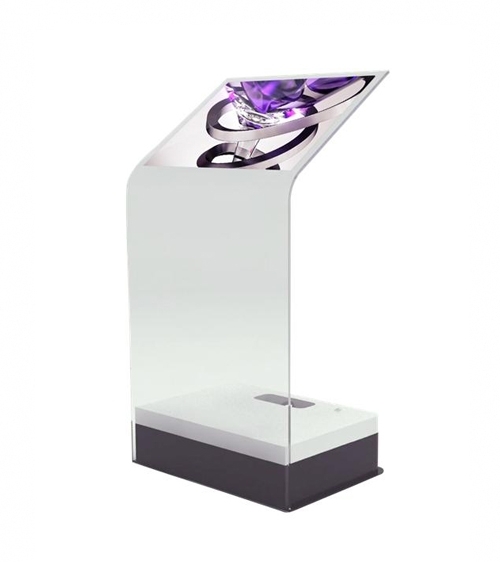 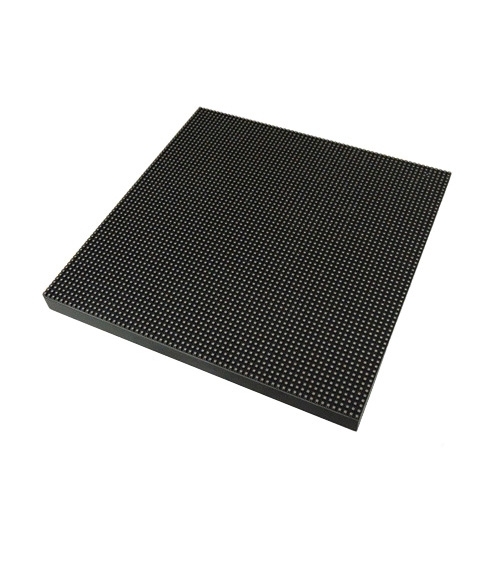 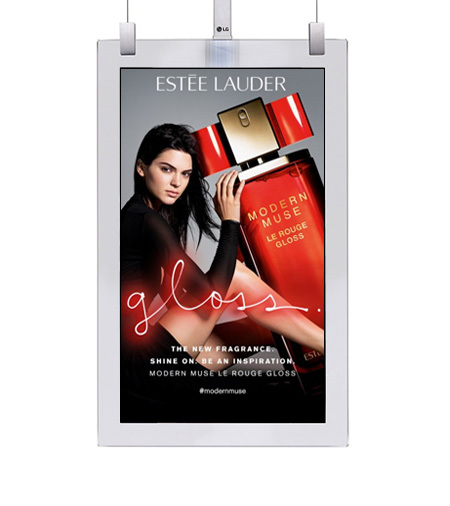 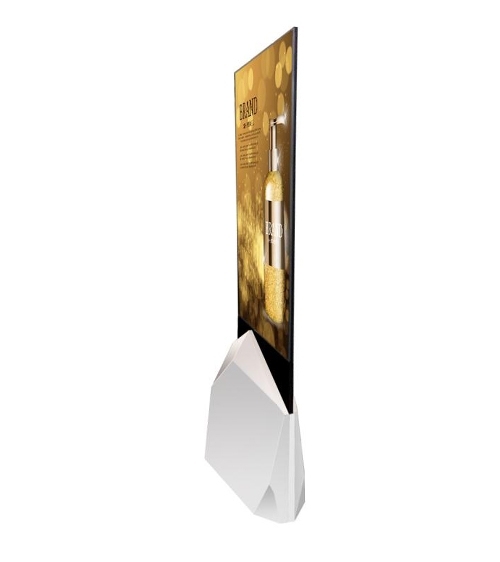 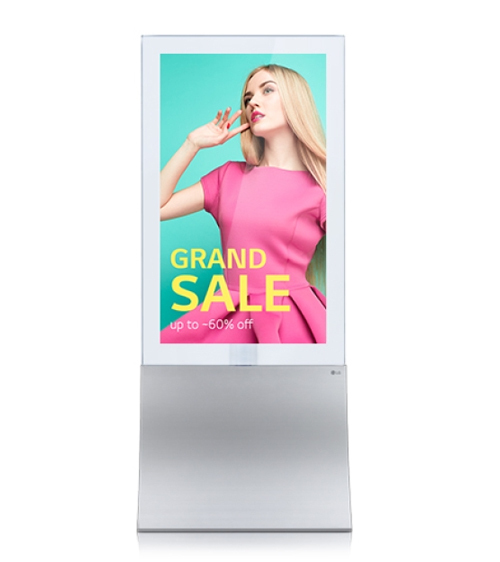 The panel is ultra thin and will add an impressive upscale vibe to your ad content. 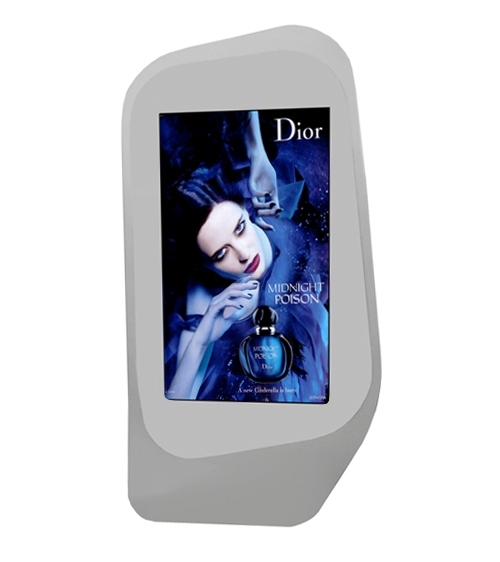 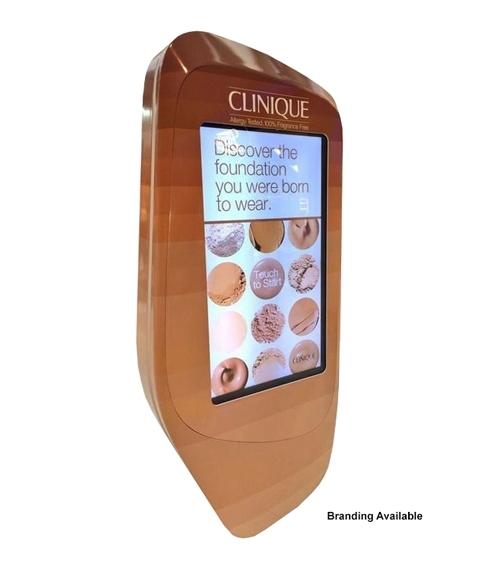 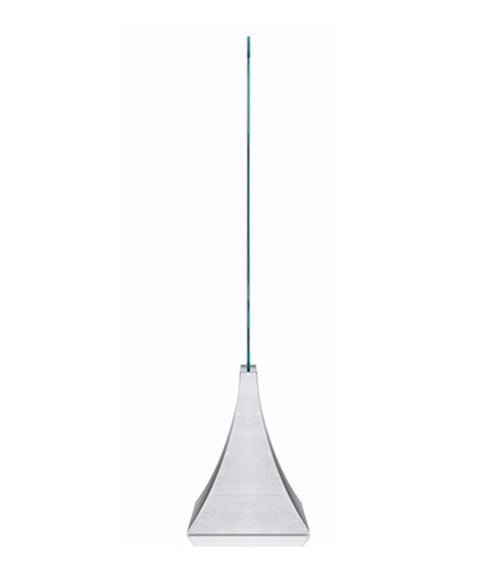 These are great for retail, banks, business, airports, museum, trade shows, hotel, restaurants or any advertising situation.